Something on its last leg is in such bad condition it soon will not be able to work as it should. 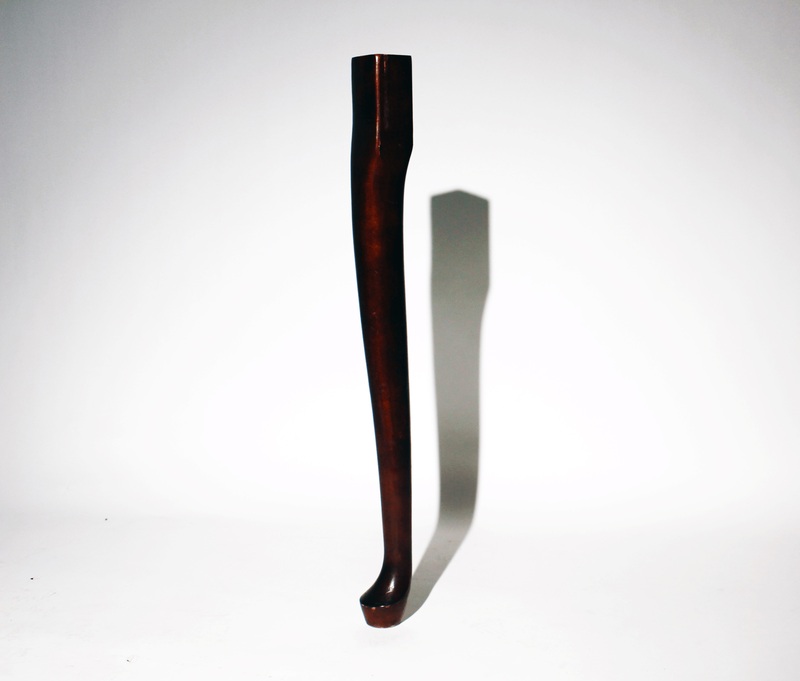 Last Leg is an installation of dozens of collected, found, and reclaimed wooden table legs. Taken from a variety of tables, amputated entities will be balanced throughout the gallery and tested on their durability to remain so for the duration of the show. Dempsey was born and raised in Nashville, TN. She studied Sculpture and Printmaking at Middle Tennessee State University and received her MFA from the University of Memphis in 2018. She was awarded the International Sculpture Center’s Outstanding Student Achievement in Contemporary Sculpture Award and her work was featured in Sculpture magazine. Dempsey works and resides in Florence, AL.